International arbitrator immunity is typically provided for in domestic legal regimes. As noted by commentators, “almost all contemporary national arbitration regimes provide international arbitrators with expansive statutory or common law immunities from civil claims based on the performance of their adjudicative functions” for the reason that “[Arbitrators] must of necessity be uninfluenced by any fear of consequences for their acts”. Most institutional arbitration rules offer even broader immunity. 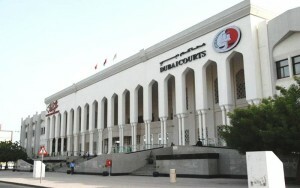 8 October 2015, Dubai Court of Cassation ruled on a Meydan Group LLC case which gave a glimpse of the application of statutory immunity of international arbitrators in the UAE. Departing from a combined reading of Art. 24 of the DIAC Statute Rules and Art. 40 of the DIAC Rules of Arbitration, the Court established that the limit of international arbitrators’ immunity is when they commits a fundamental error which should be defined as a failure to comply with unambiguous legal principles or ignore clear-cut facts. This ruling on international arbitrator immunity is unfortunate, since what constitutes unambiguous legal principles or clear-cut facts is itself often subject to debate. Although Dubai remains an arbitration-friendly jurisdiction, this represents a step backwards in terms of international arbitrator immunity.